Social sciences, in this context encompassing Geography, Political Science and civics, History, and Economics is also a Hathaway Curriculum content area and a focus of the Partnership in its Lost in Transition initiative. These events are coordinated by the Wyoming School-University Partnership. The Partnership is still currently looking for the best way to bring together educators across levels in these vast and disparate specializations. Events were funded by support from the Qwest Foundation. Registration is free, but required. A light breakfast and lunch will be provided. All travel and lodging expenses are participants’ responsibility. PTSB renewal credit will be available for Wyoming certified teachers. Foster conversation and collaboration about social sciences (political science, government/civics, history, geography, and economics). Revise and update Partnership Trifold Disciplinary social sciences document (e.g., possible bookmark, brochure, poster), and brainstorm components of online, interactive, digital presence such as a website. 9:00-10:50 Transition Chart Revision team panel discussion, followed by large and small group work time. Discuss revision process so far, the overarching vision of the new transition document. 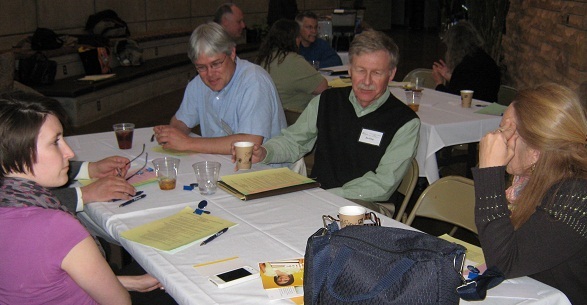 In table groups, examine new draft and discuss current revisions. Feedback and edits on the draft framework will be collected from each table. Note ground rules for this activity. Large group report out and discussion of revision feedback. Presenters share their 1000-level course syllabus round robin style with participants. 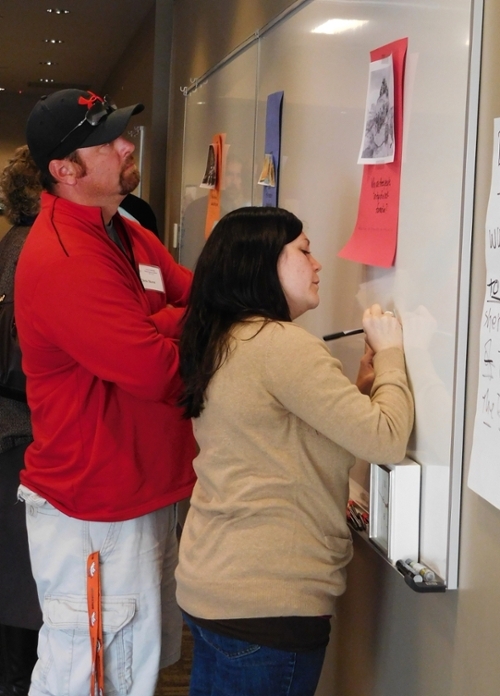 In original groups, revise initial feedback and add new feedback based on day’s discussions. Next steps, invitation to participate in next revision phase.